These handy power banks are absolutely lightweight and are a blessing in today’s fast paced world. With a power bank in your pocket, your mobile devices like smartphone, tablet can be fully charged almost twice or more in a day. The Philips power bank boasts of a 6000 mAh capacity which allows you to charge multiple devices like cameras, smartphones, music players and other multimedia devices in one go. This compact and handy device makes it easier for you to carry it on trips. 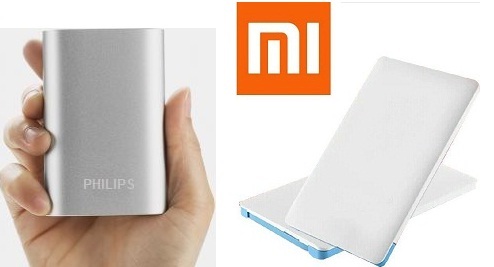 If you only need a power bank to charge your smartphone, the Xiaomi 2500 mAh power bank is quite sufficient in terms of performance and rightly suits your usage. LED TV simply enhances the experience of watching TV at home. Watching movies or videos is sheer delight on this Sony LED TV as it comes with clear resolution enhancer for rich resolution and less noise. Also, this Sony LED TV allows you to enjoy your personal media from your camera, camcorder or any other USB drive with great sound. On the other hand, the Weston LED TV delivers crystal clear picture quality with a 1366X768 pixels. Don’t worry about watching the TV for long hours as the Weston LED TV comes with Intelligent Picture Technology and Eye Safe T. Matrix which make viewing more delightful and soothing to the eyes. Love clicking pictures but don't like to carry those bulky professional cameras, this Canon IXUS 275 20.2MP Digital Camera would do the trick. Besides being lightweight, this camera comes with 20.2 MP CMOS sensor and 12X zoom captures really impressive photographs. It is ideal for those photography enthusiasts who have begun their tryst with photography. The Auto Zoom feature of this camera detects the number of faces in the scene and adjust zoom settings accordingly. The built-in flash light enables you to click great photographs in poorly lit setting. It is compatible with Wi-Fi and NFC connectivity which allows you to share multimedia files on social networking sites in a jiffy. Not just photos, you can shoot high definition (Full HD) videos with a resolution of 1280 x 720 pixels. Why buy a camcorder then! Capture the best moments of your life in high quality with Nikon L31 Digital Camera. Besides 16.1 MP sensor and 720p HD video feature, this Coolpix camera comes with various editing functions which enable you to add special effects. The EXPEED C2 image processor on this camera adds colour, sharpness, texture and clarity to each and every photograph captured from this camera. Equipped with motion blur reduction technology, this Nikon digital camera renders stable & blur-free photos. Drawing on expertise learned from building some of the finest loudspeakers in the world, JBL engineers created lightweight, over-ear headphones with a fresh look and uncompromising JBL sound. The J55's premium drivers generate clarity and extended bass that competitive products simply can’t touch. Pure, accurate bass lets you hear the truth from your music. Revel in thumping music with the Sony MDR XB400 extra bass stereo headphones. The integrated 30mm drivers enable these headphones to reproduce intense bass sound. Since they have a frequency response range of 5Hz-22kHz, these headphones offer different types of notes and beats with fine details. 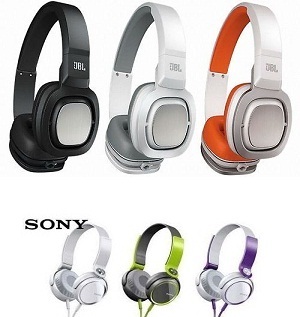 With a sensitivity of 100dB/mW, these Sony headphones render an enhanced sound output. As they have an impedance of 24Ohms, these headphones efficiently use power to produce amplified audio. The Advanced Direct Vibe Structure ensures that you enjoy clear and powerful sounds.